March | 2008 | Gatou? Crunchyroll – No longer safe? After the Odex fiasco, most people have stopped downloading and instead turned to video websites like Youtube, Veoh and Crunchyroll for their anime fix. Crunchyroll has been in recent news, for its $4M received in private corporate funding as well as talk of a possible tie-up with Gonzo Inc.
Now, what I’m more worried about is this News announcement on the CR website. but it requires a little work on your side by installing a new Bittorrent client (its pretty easy and i know many of you already use it). cuz its p2p, it should be faster for you guys to stream and it will cut back on the bandwidth cost a lot! Am I the only one thinking that it could be a program that tracks down what the users watches? And it being a p2p client, people could technically be counted as downloading the anime episodes and be prosecuted under those charges by any anime companies that decides to go after Crunchyroll? 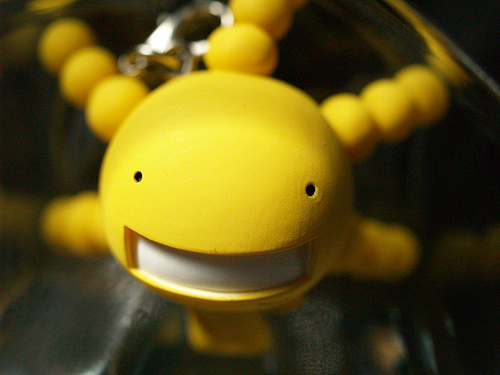 The bacteria of Moyashimon are invading! This is about the anime, Moyashimon: Tales of Agriculture. Comments : Comments Off on The bacteria of Moyashimon are invading!